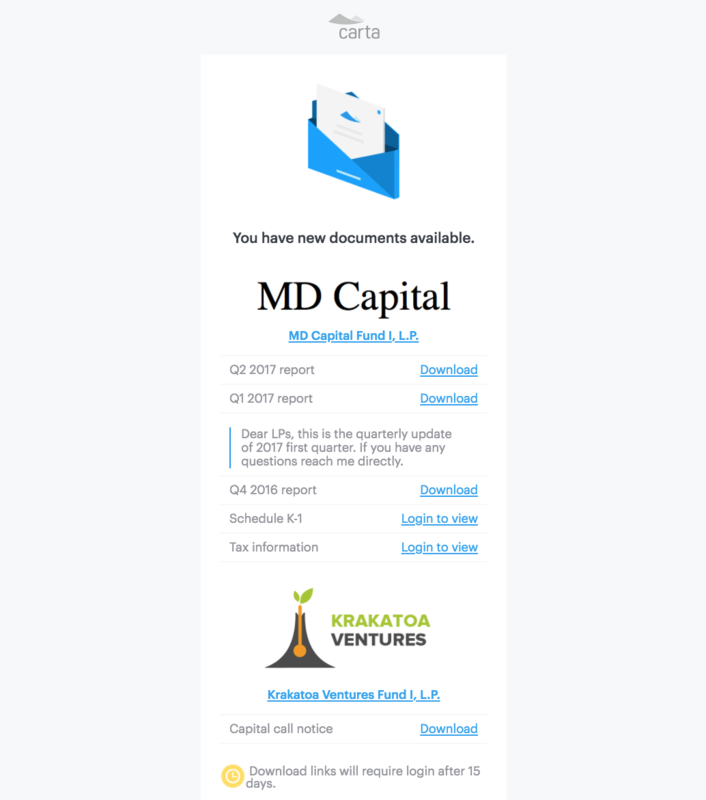 To learn how to upload investor documents, read here. 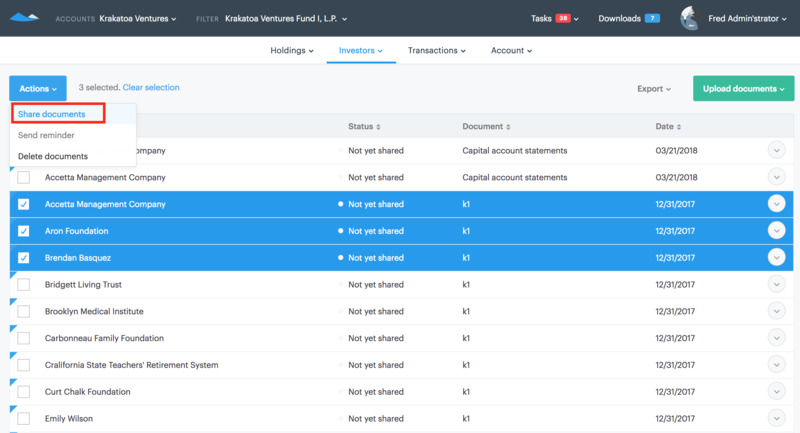 To share documents, navigate to Investors and select Partner Documents. Select the document(s) you would like to share. Select Actions and then Share documents. You may then select the notification type. 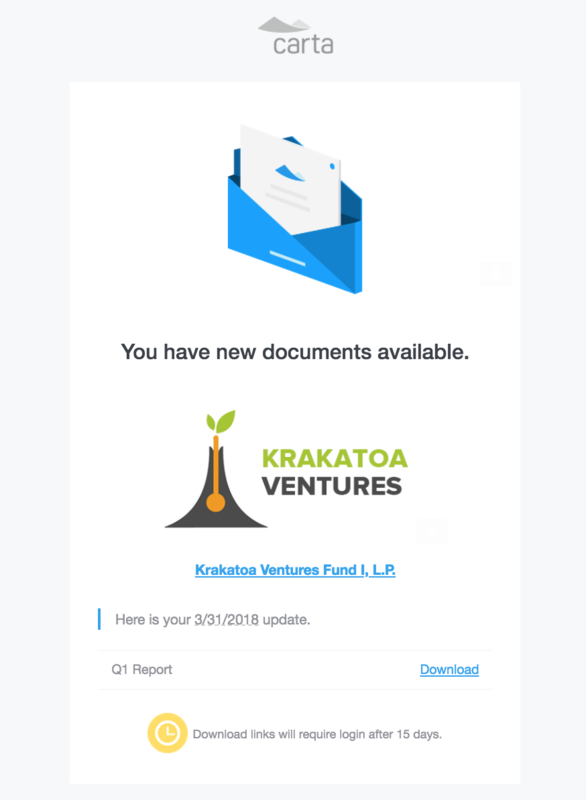 If you select "Send with daily digest", the investor(s) will receive the notification as part of one daily email such as the one below, separated by firm. 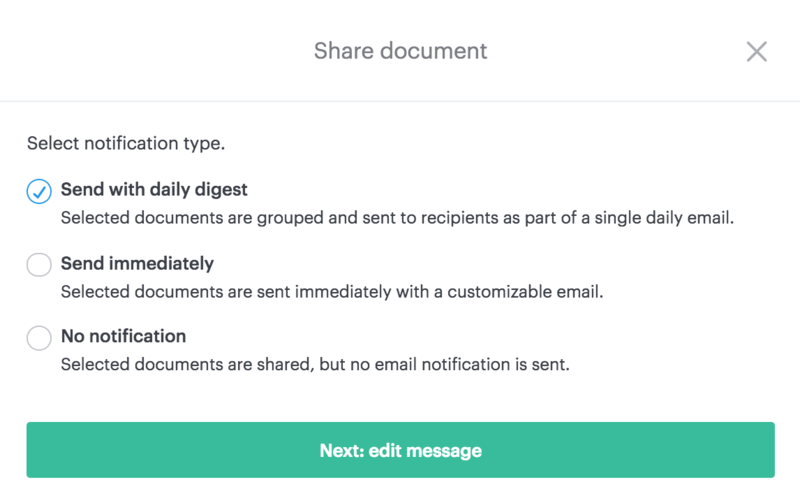 Any message you include will be shown underneath the document shared. If you select "Send immediately", the investor(s) will receive the notification(s) right away. You can customize the subject as well as the message sent alongside the document. There is also an option regarding the document links. By default, emails include a link to the document being shared for easy access to the content. This link expires after 15 days, after which the individual clicking the link must login to view the document. 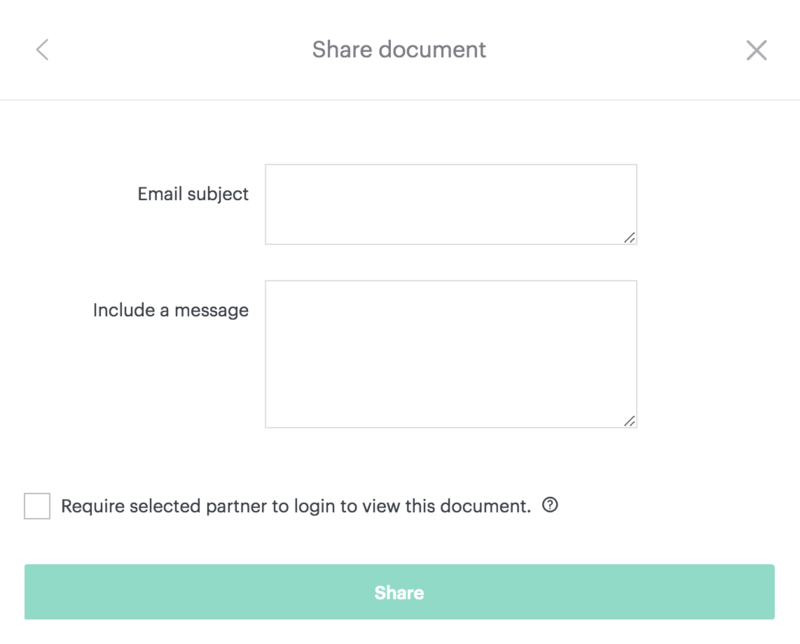 If you check the box "Require selected partner to login to view this document", the "Download" link in the email will be replaced with one to "Login to view" the file instead. Some customers have found this helpful when sending K-1s with partner Social Security Number and address information contained within.